Influences as diverse as agriculture, politics, racial issues, refueling depots, mountain ranges, rivers all play a role in the defining of state boundaries. Many states were originally quite different in shape than as we know them today. One proposal has Washington's borders extending into much of eastern Oregon, and south into a small portion of current day Wyoming. 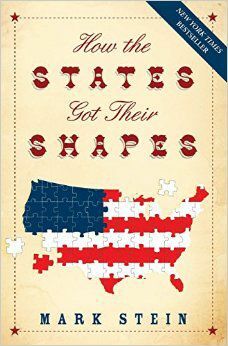 There are various reasons for a state's shape and "How the States Got Their Shapes" makes them worth reading about!